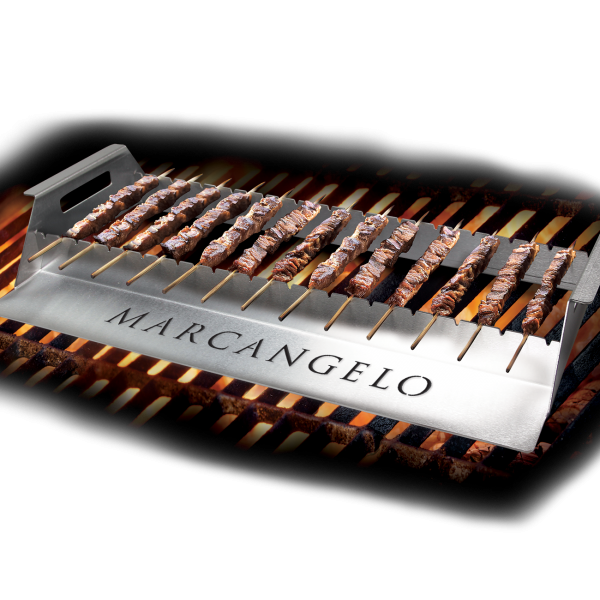 Easily placed on top of any BBQ, the Spiedini Grill makes cooking a breeze. 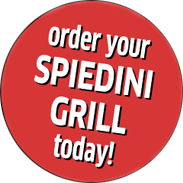 The Grill enables you to cook your Spiedini to perfection! Dimensions: 23.5 cm x 58.42 cm (9.25” x 23”). 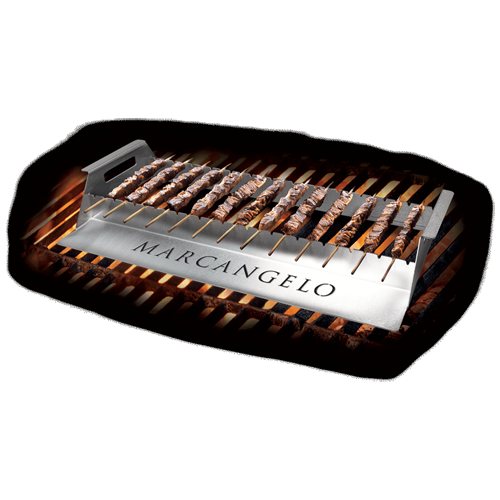 Truly a perfect accessory for any BBQ aficionado… The stand alone grill, using charcoal, is perfect for grilling Spiedini easily and quickly – making you the king of Spiedini grilling! 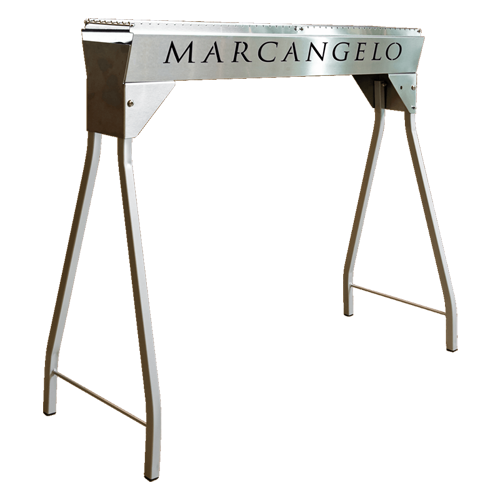 Marcangelo has a lineup of delicious, tender cuts of seasoned meat simply prepared and ready in minutes.